Lh. 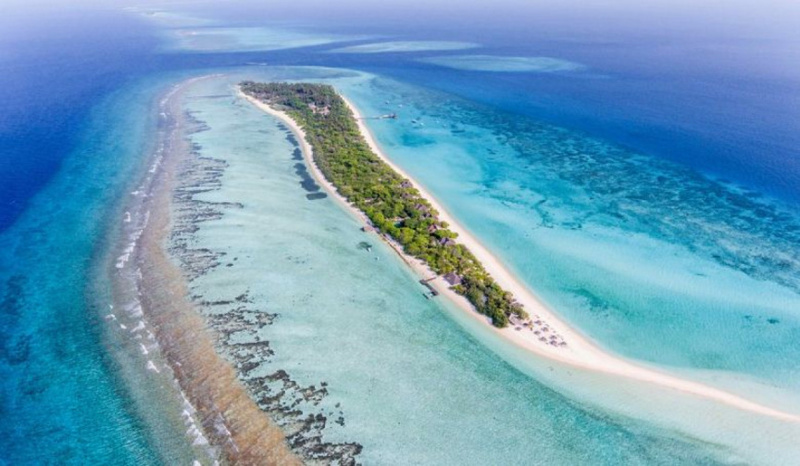 Madhiriguraidhoo, the island which houses Palm Beach Island Resort & Spa, has been put up for sale by State Bank of India (SBI) following failure to make a loan payment. Lh. Madhiriguraidhoo was collateral for a loan taken from SBI by Guardian Agency Private Limited and Monaza Construction Private Limited. Madhiriguraidhoo is the island which houses Palm Beach Island Resort & Spa. The leaseholder for the island is Ibrahim Ali Manik from Ma. Nooree, Male’ City. SBI’s announcement lists Madhiriguraidhoo’s reserved price as MVR 539.7 million (USD 35 million). According to the website of Ministry of Tourism, Palm Beach has 135 villas and 270 beds. SBI has instructed interested parties to submit proposals along with a copy of the national ID card (for individual buyers) and a copy of the company registration stamp (for companies) in a sealed envelope to the locked box located in the eight floor of the SBI headquarters. Those who wish to partake in the bidding are required to submit a MVR 10,000 deposit as guarantee. SBI received rights to sell Madhiriguraidhoo following a Civil Court verdict in its favor in July, 2018.